The long window and stainless steel surround give the Garador FGS 700 and elegant contemporary look that makes it our best selling front door. 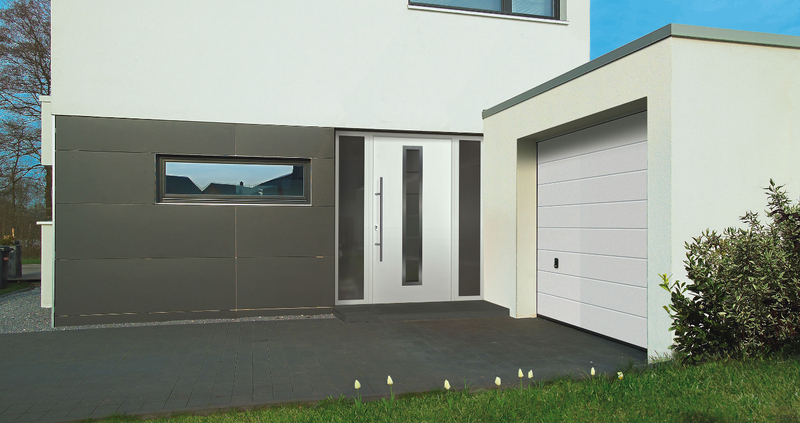 Garador FrontGuard doors are made in a high-tech manufacturing facility in Germany. 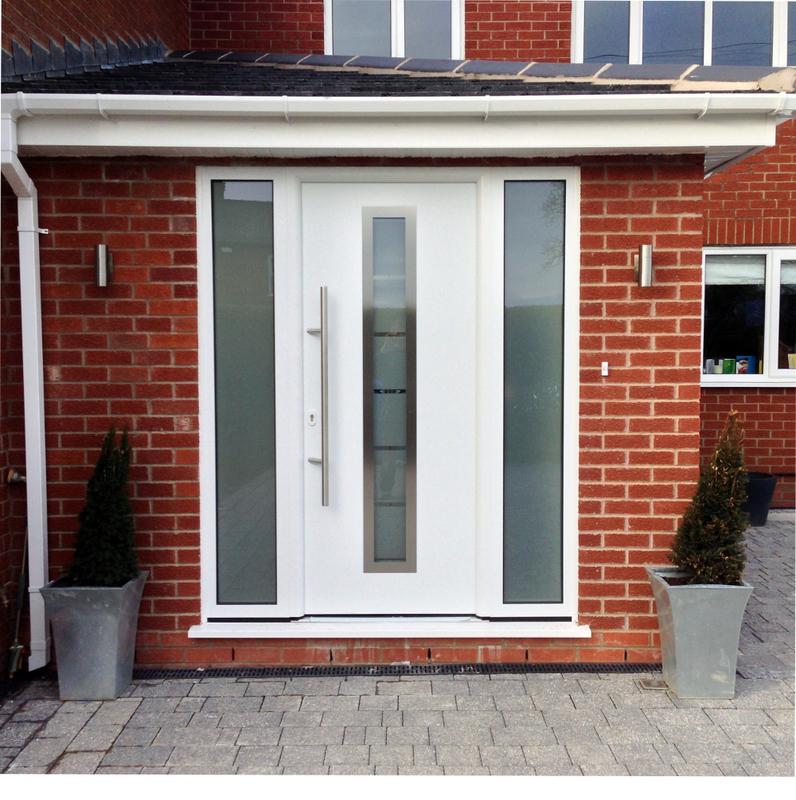 They give the look and much of the performance of an aluminium front door but at a fraction of the price. 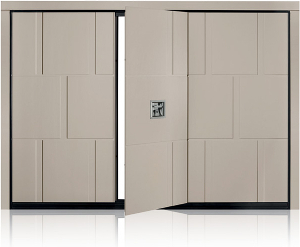 The 46mm thick door leaf is made up of a double steel skin with a high-density foam core. This makes a door that is not only highly insulating but also very strong. The window pane is triple glazed and the window surround is laser cut stainless steel. 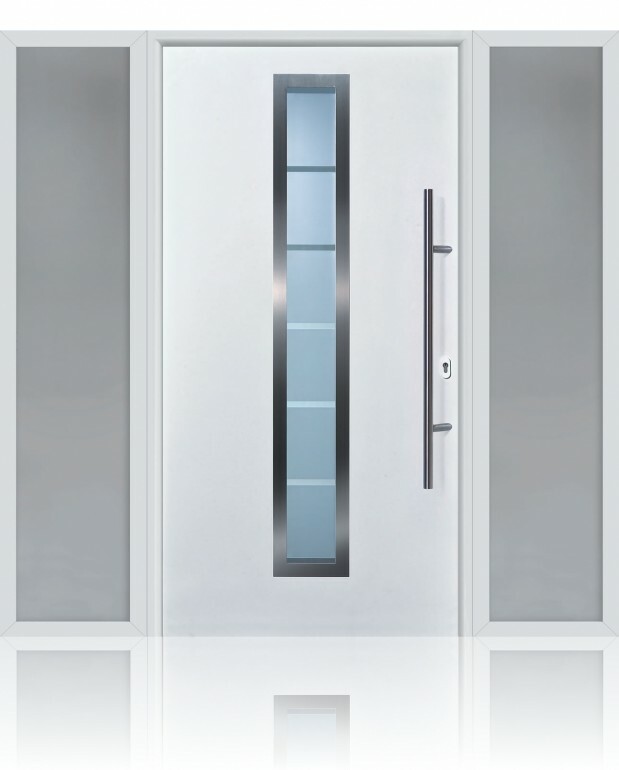 The extruded aluminium door frame has a thermal break in it and is available as round style or rectangular. Firstly, as standard Garador FGS 700 comes with 5 point security. This is made up of: soft lock latch, main locking rod, shoot bolts, hook bolts and hinge pins. There are two security upgrade options with FGS 700. There is the Secure by Design upgrade and also the RC 2 upgrade. Secure by Design is owned by the Association of Chief Police Officers and is a recognised security standard within the UK. RC 2 is a Europe wide recognised security standard. Especially relevant, the doors have passed rigorous testing to achieve these certificates and have withstood attacks using common burglary tools. Garador FGS 700 is available with both side and transom elements with either sandblasted or clear glazing. As well as the options for security upgrades and side/transom elements mentioned above there are also other customisations available for your Garador FGS 700. You’ll be able to choose from a standard range of colours which you can see on the swatch to the right. There are also functional options to choose from such as the electric strike. This can be used to either open the door via a switch or the locking lever can be toggled so that the door opens with a slight push. Perfect if you have kids nipping in and out of the house. If you’d like to see and try a Garador FGS 700 we have one at our showroom in Lancashire. Why not call in? Steel door leaf with foam filled core and thermal break, exterior and interior overlapping the leaf, 46 mm thick. Standard polyester primer coating White (RAL 9016) in a smooth finish (inside and out).